Taikang Space announces its latest exhibition “A Home for Photography Learning: The Friday Salon, 1977–1980” will open to the public from September 13 to November 17. The photography workshop, now known as the Friday Salon, lasted for about three years and was held in the home of Chi Xiaoning (1955-2007), at No.11 Xintaiping Hutong. It mainly took the form of young amateurs learning photography from some older experts. This kind of home workshop, distinct from the general home art salon, emerged in the mid to late 1970s and was closely related to the political and social environment of the time. With the decline of the Down to the Countryside Movement and the successive disbandment of the May Seventh Cadre Schools, the Sent-down Youths who returned to the city and the older generation of intellectuals were either assigned to work or engaged in a new life, both experiencing the process of adjustment. Most young people working as factory workers were eager for knowledge but had nowhere to learn. Older people at the same time were suffering from the inability to fully utilize their long-held expertise. On their initiative, some young people began to consult with the older generation of intellectuals who were willing to help, which gave birth to this style of voluntary, spontaneous study group. From the second half of 1976, Chi Xiaoning who worked at the Beijing Film Studio (“Beiying”) repair and maintenance workshop, and his colleague Zhong Xingzuo, often went to the home of film photographer Chen Guoduo, from Guangdong, to consult with him on photography. Around the spring of 1977, Chen was invited as the first teacher of the Friday Salon and began to lecture at Chi’s home. For one eveving a week, he taught basic techniques such as exposure settings and film developing, as well as portrait photography skills; the early students were mainly children of the “Beiying” staff. Other teachers who lectured temporarily included Li Weiming and Du Yuzhuang, both photographers from “Beiying”, and Hao Xiaoshi, a technician from the Beijing Camera Factory. Di Yuancang (1926-2003), a photo critic temporarily assigned to the Beijing Science Education Film Studio (“Keying”) as a special effects photographer, was invited to teach at Chi’s home from the winter of 1977 or the spring of 1978, and later became the main mentor for the workshop. Di introduced a lot of photography lovers to attend classes and also invited Qian Shaowu, Shao Bolin and other teachers to teach classes on art and culture more broadly. Gradually, news that a photography workshop was being held in a “Beiying” staff house spread like wildfire, attracting more young people to Chi’s home through friends or teachers. Peaking at more than 40 students, the class even caught the attention of the police, as too many bicycles were piling up at the front door. If being a special effects photographer for Di Yuancang was a waste of his talent, teaching photography to young students provided him with an opportunity to share his knowledge. During the lectures, Di examined photography in a wider field of art, and associated it with other national and western art categories, such as ink painting, music and poetry, thus expanding the students cultural and artistic understanding, and revealing photography as a possible medium of expression. In addition to teaching at Chi’s home on Friday night, Di and these photographers also went to the mountains and villages on the outskirts of Beijing on weekends or holidays (such as Dajue Temple, Shidu, Shunyi Dongfu Village and Haituo Mountain), to shoot local landscapes, rural activities and portraits of villagers. In order to further summarize and exchange learning experiences, they held the only internal exhibition in Chi’s home in January 1979. Later, Di Yuancang was subsequently invited to conduct public lectures at cultural centers and universities around the country. As an assistant film photographer, Chi Xiaoning was also frequently on business trips by that time. Most members soon had no time to attend classes because of work too, so the workshop gradually disbanded by around 1980. However, the photography education and practical opportunities offered by the class were extremely rare at that time, and most of the members went on to find jobs related to publishing, film and art. Taikang Space has specially invited art historian Chen Shuxia, currently a Ph.D. scholar at the Australian National University, to curate this exhibition. From its introduction at the beginning of the 19th century, photography has infiltrated, influenced and shaped all aspects of our lives, as a product of technological development, an artistic medium, a communication tool and a popular cultural phenomenon. Photography has left us with not only an image of the times, but also clues to understanding the present. Since its inception, Taikang Space has continued to contemplate the history and practice of Chinese photography, regarding it as a window to understand and investigate China’s overall social change. Taikang Space always strives to revisit history from a contemporary perspective, reconsidering the present based on historical research. 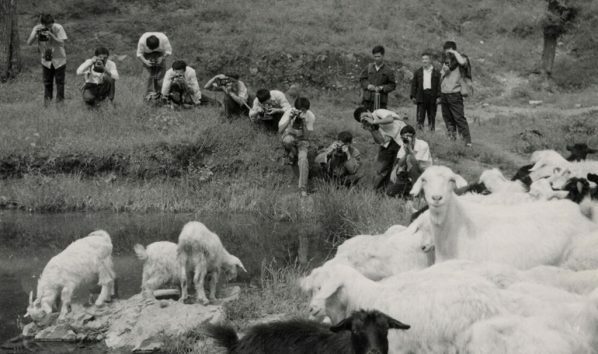 As an important part of Taikang Space’s research into Chinese photography, this exhibition strives to present an image of history as revealed in the classic medium of photography, through observation, organization and research into a specific time and case study. Courtesy of Taikang Space, for further information please visit www.taikangspace.com.